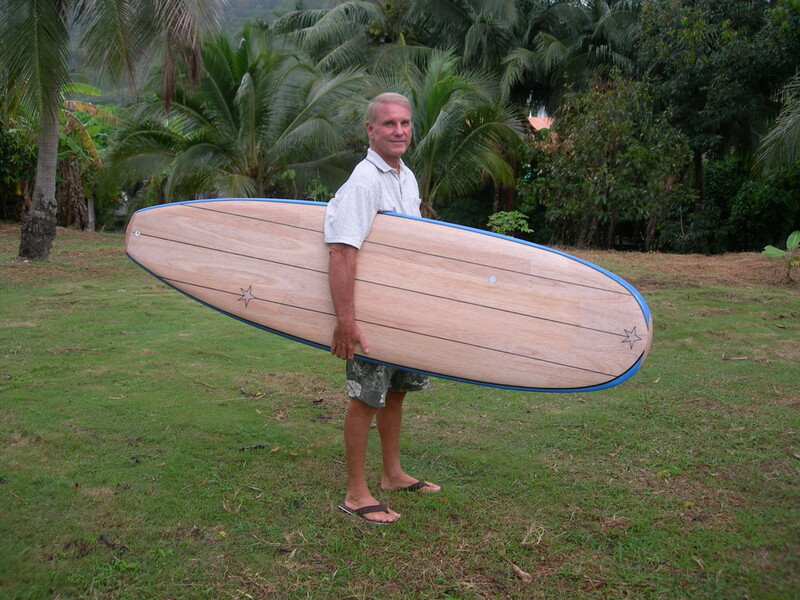 Richard is an experieced surfer, an occasional shaper, an architect and a man who knew what he wanted. So it has been a great challenge to shape for him. He came with a precise plan that was inspired by a "Magic" from Walden. Thanks a lot for your confidence in me Richard. "I am also impressed with the elleciel website-board construction-design ideas, good for him." I am still amazed at how good my board turned out. 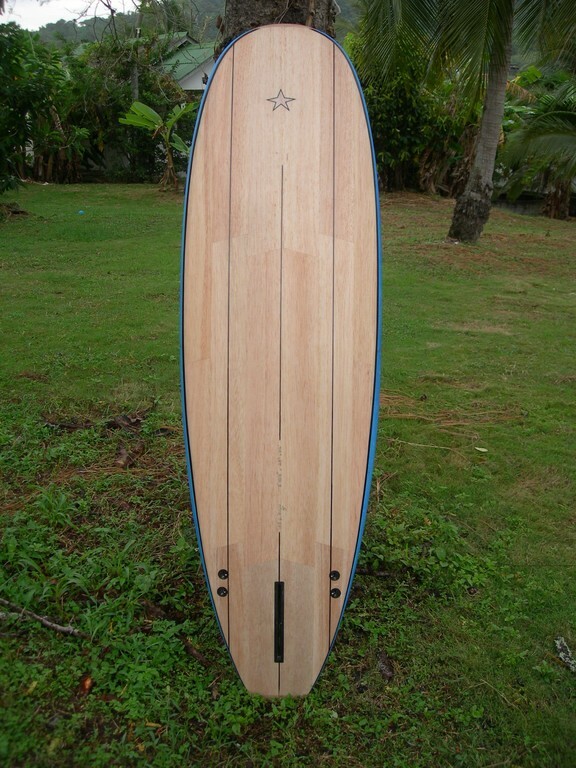 I have to admit I was a little doubtful of Dave's abilities at first as he did not have much experience shaping/making surfboards and my board design wasn't like anything else I had seen around. 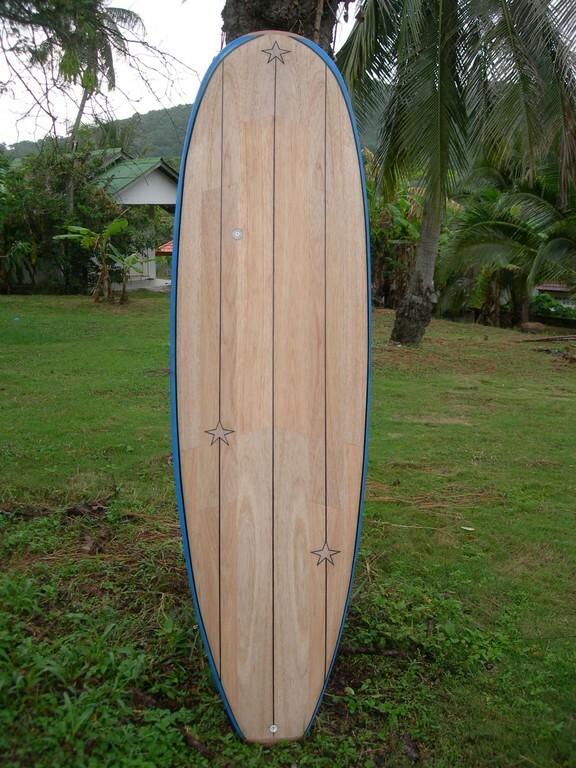 Talking to Dave about design ideas and building techniques convinced me that he was knowledgeable and serious about his desire to start a business making his own style of surfboards. Dave was struggling, financially, so rather than buying a shop board I decided to invest in his new enterprise by giving him a chance to shape something unlike what he had seen before. 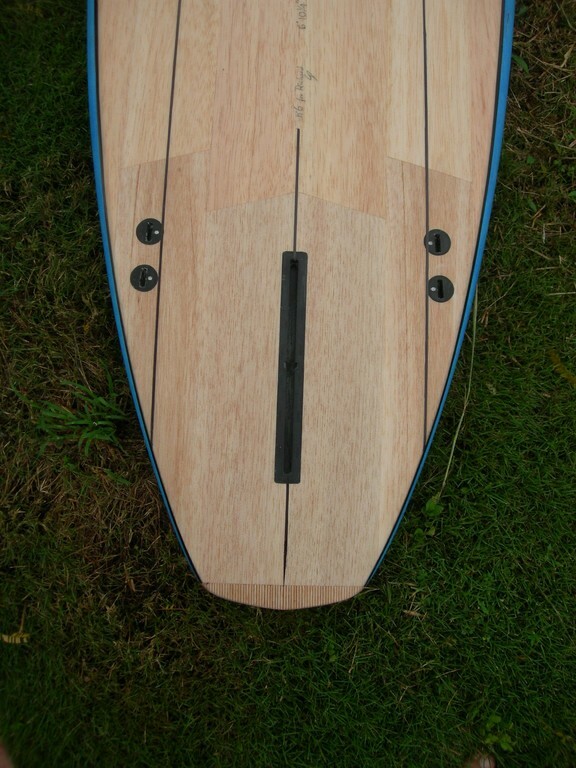 I wanted it to float me as good as my 8'6"...paddle like a longboard and then surf like a shortboard but with nose riding capabilities. I hadn't ridden or seen a board that could fit all those qualifications so I was not only skeptical of Dave's capabilities but of my own design as well. I thought that if it didn't work , it would at least be so nice looking that I could hang it on the wall as decoration. 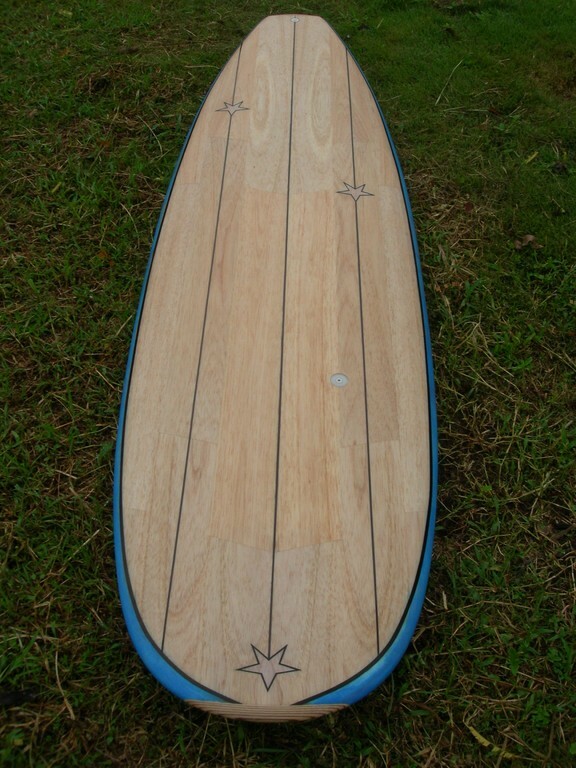 I used to shape and ride my own boards many years ago but I had not kept up with the latest theories/ideas on design. This was to be an experiment. Before we began, Dave and I had many, many conversations about the design and it's probable outcome. It took me a few weeks to get used to the board and now that I have adapted to riding it I find that it works exactly as it was intended to. I couldn't be more pleased with it. Thanks a lot Dave......I will have this board for a long time.